Home » Blog » Wedding Chatter » Is there an organist in the house? So you have spent hundreds of pounds on all of the things for your special day… Your guests have travelled for your wedding… and you arrive at church in a gorgeous Bentley. Then your vicar who is as white as her gown is stood on the church steps telling you “the organist has not turned up!” Nightmare!! Well that’s what happened to one of our lovely couples. Whilst everyone started running about like headless chickens, Mark calmly asked the bride what music was she walking down the aisle to? He did a quick search on You Tube and found it. 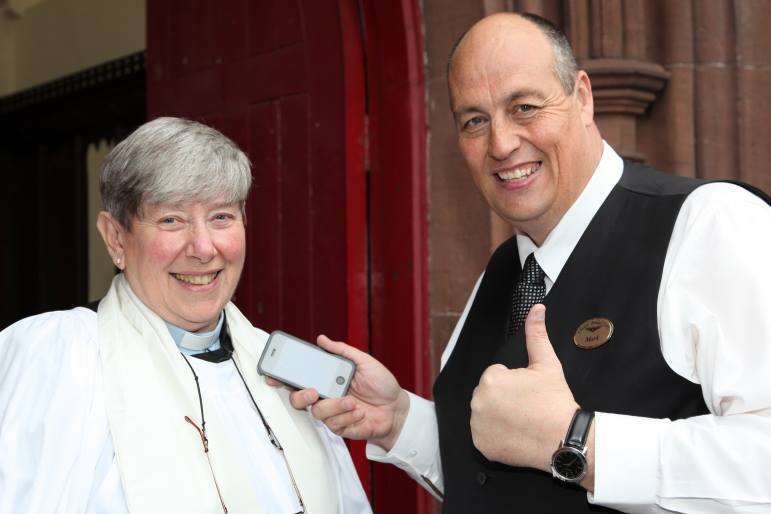 Then he played the music from his iPhone down the vicars radio mic so it came out of the PA speakers inside the church. He did this for the walk out too, so no organist was needed. Catastrophe overcome. More than just drivers.